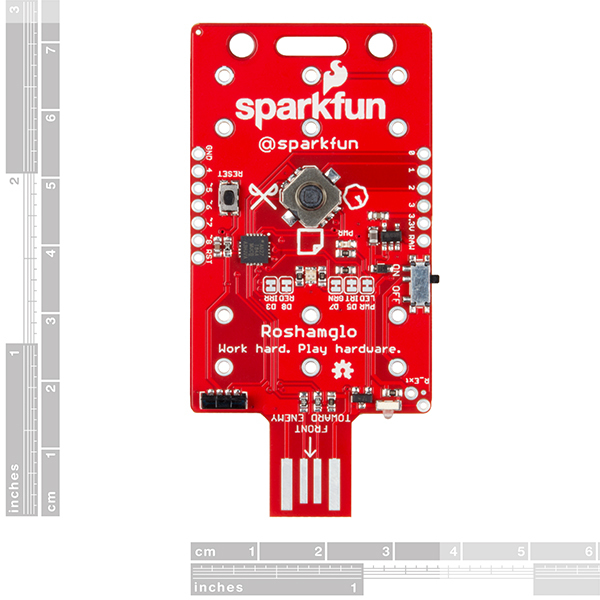 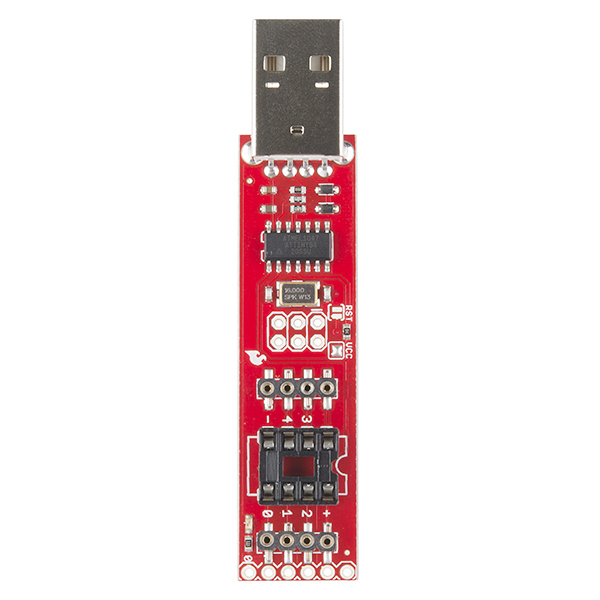 The SparkFun Big Red Box Proto Board is a large, custom made PCB that has been specifically designed to be used with and installed into our Big Red Box. 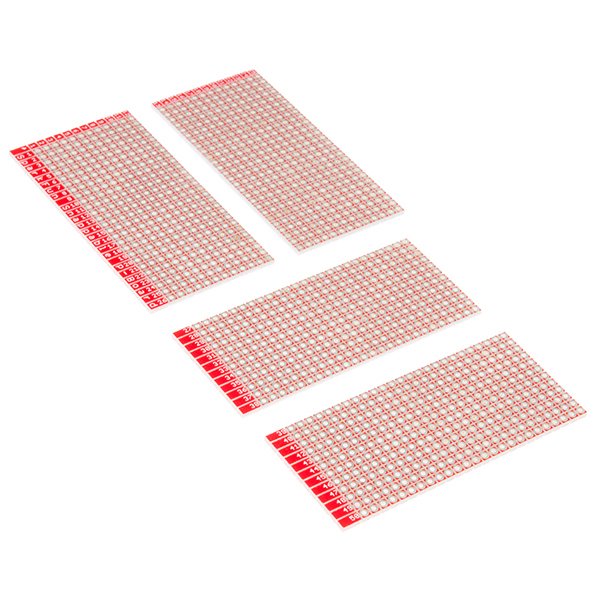 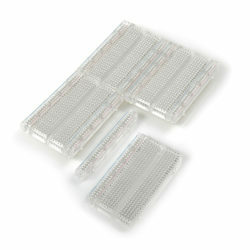 This board features a large prototyping area with exactly 1,488 solder points (yes, we counted). 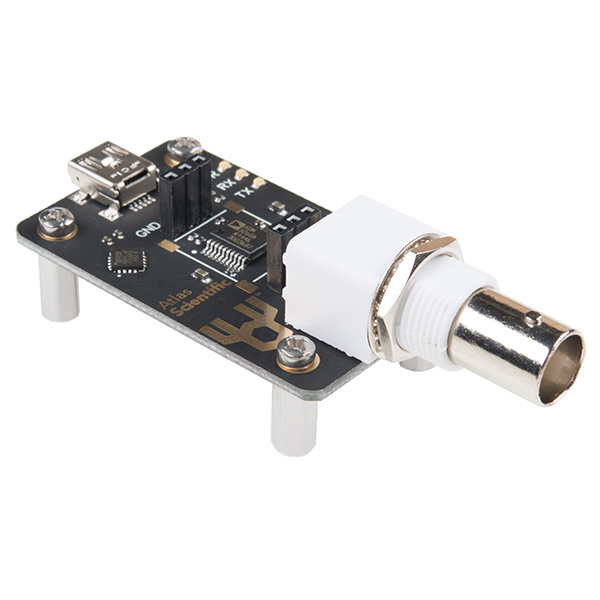 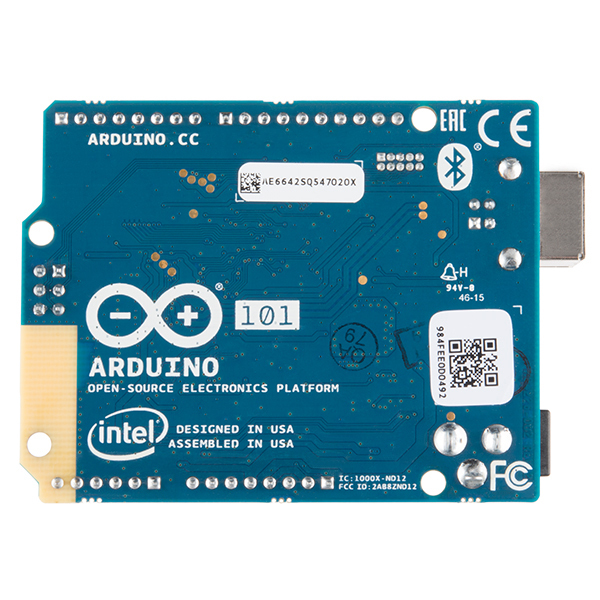 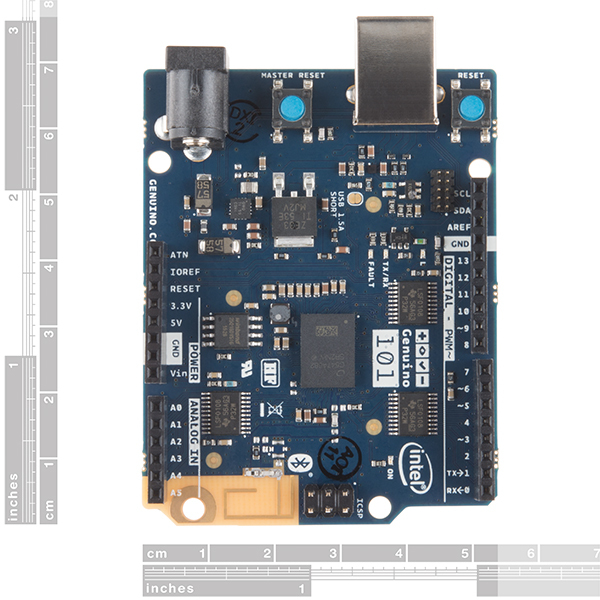 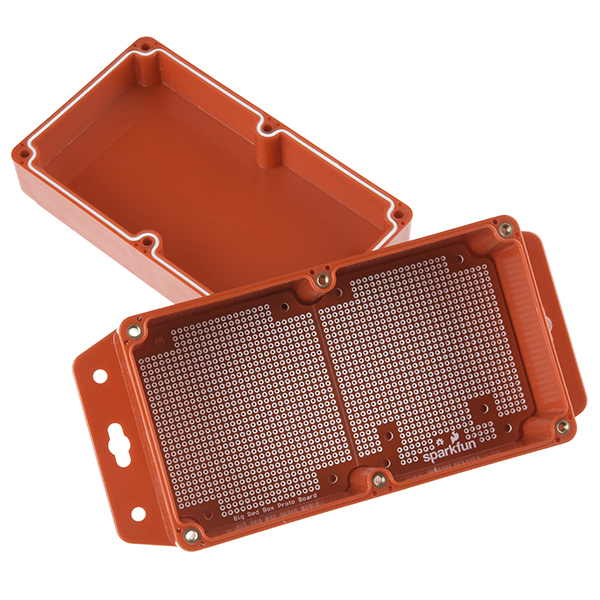 With this proto board you will be able to create or incorporate unique projects into a reliably weatherproof enclosure. 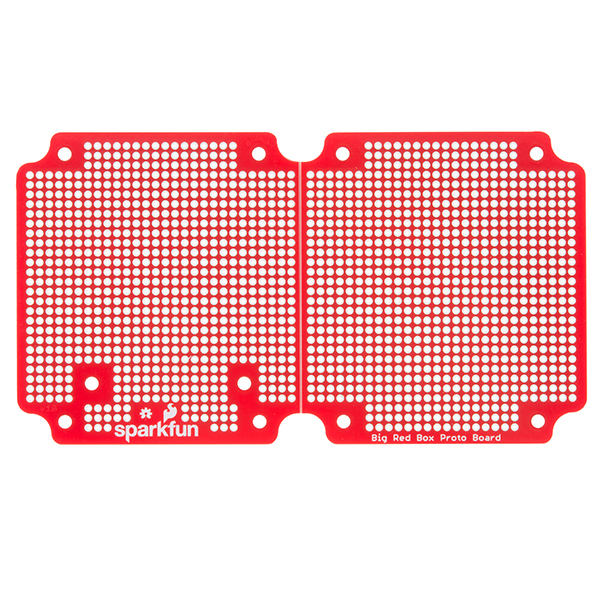 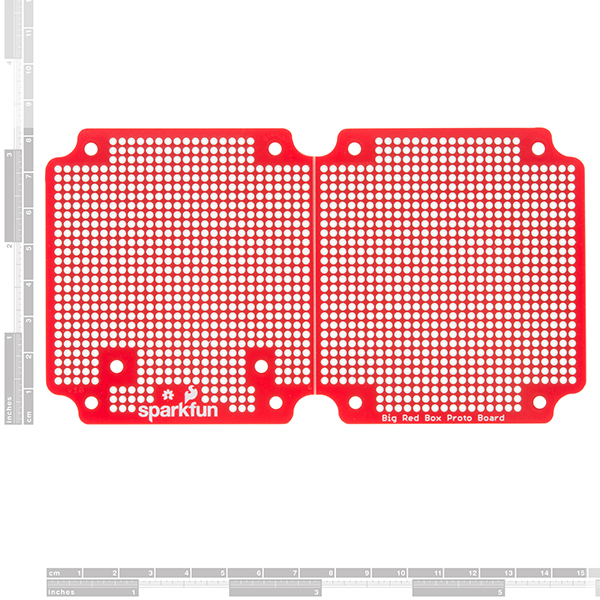 Each SparkFun Big Red Box Proto Board is equipped with ten mounting holes to secure it inside the enclosure. 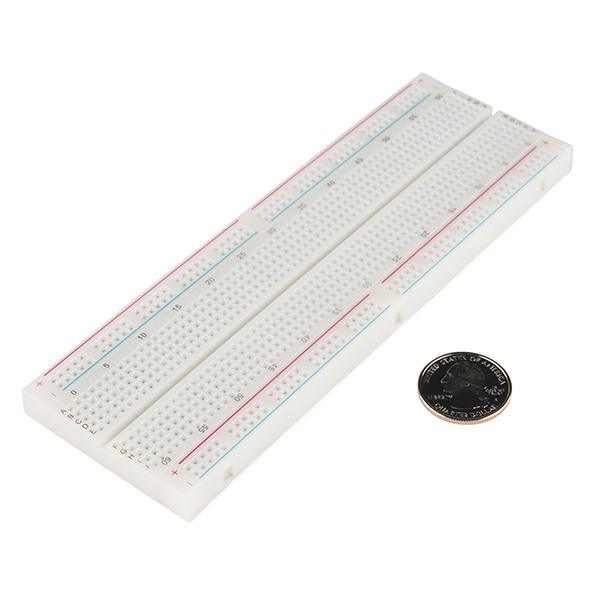 The proto board can even be broken in half at the V-score that runs down the middle to use only half or, with addition of some standoffs, can be stacked on top of one another. 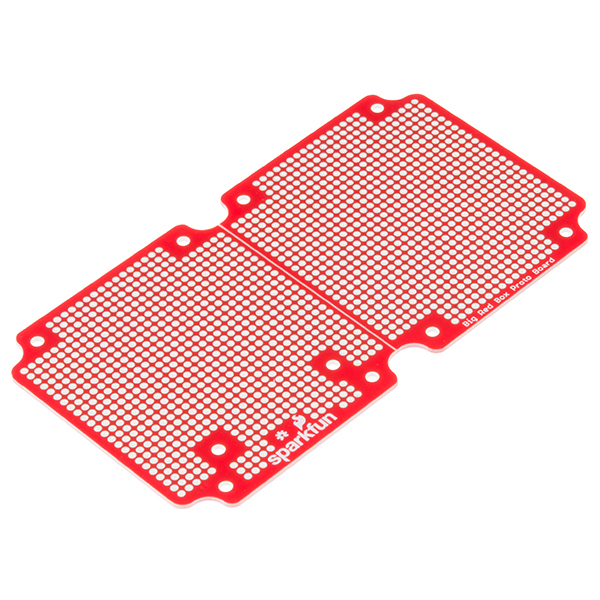 Either option will require some ¼” 4-40 screws.